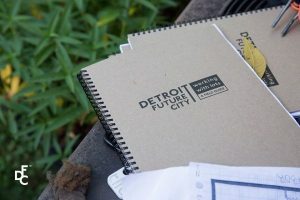 Detroit Future City's Working With Lots Program is back! This program seeks to attract community groups, businesses, faith-based institutions, or non-profits that are interested in turning vacant land into productive landscapes. During this information session, you will learn more about the program, the application process, eligibility requirements, award amounts, and much more. Please join us for this information session as we kick off our 4th year of this program. Refreshments will be provided. Detroit Future City's Working With Lots Program is back! This program seeks to attract community groups, businesses, faith-based institutions, or non-profits that are interested in turning vacant land into productive landscapes. During this information session, you will learn more about the program, the application process, eligibility requirements, award amounts, and much more. Please join us for this information session as we kick off our 4th year of this program. Refreshments will be provided! Detroit Future City is excited to announce the Fourth Year of the Working With Lots Program. DFC will host several office hours throughout the city. This is your chance to ask questions about how to apply to the program, the application process, ask questions about your specific project, and more! DFC will host several office hours throughout the city. This is your chance to ask questions about how to apply to the program, the application process, ask questions about your specific project, and more! Detroit Future City's Land + Water WORKS Coalition is currently seeking neighborhood leaders and community-based organizations from across the city of Detroit to apply to serve as 2019 Land + Water WORKS Ambassadors! Learn more at our in-person information session on March 14, 2019. Detroit Future City's Land + Water WORKS Coalition is currently seeking neighborhood leaders and community-based organizations from across the city of Detroit to apply to serve as 2019 Land + Water WORKS Ambassadors! Learn more at our in-person information session on March 20, 2019. Mathis Community Center, 19300 Greenfield Rd.